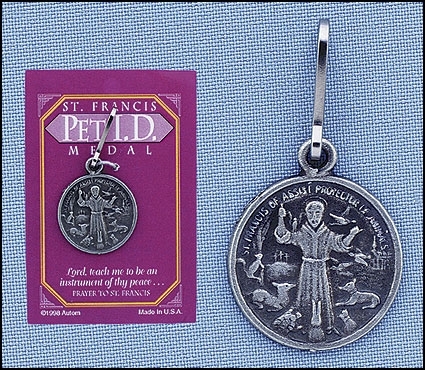 Identify and protect your precious pet with this St. Francis of Assisi Pet Medal. Silver-toned medal attaches to pet’s collar. Space on back of pet medals for engraving pet’s name and phone number. Individually carded.